One of the biggest stories from the recent Nintendo Direct was that Dragon Quest XI: Echoes of an Elusive Age would finally be coming to the Nintendo Switch in the fall of 2019. 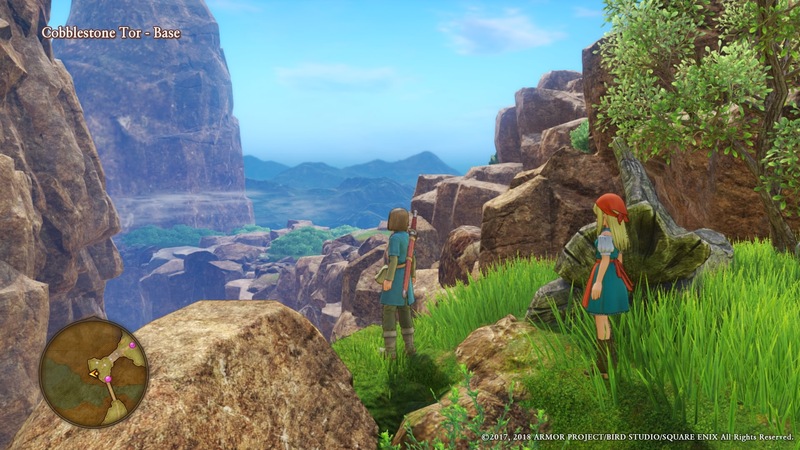 Of course, Dragon Quest XI has already been out on the PlayStation 4 (and PC) since fall 2018. Possibly to make up for the wait, the Switch release is billed as a “Definitive Edition” and is filled with content not present in the original version. Now, the question on everyone’s mind is whether this now content will come to the other platforms or not. Well, you probably shouldn’t hold your breath, because Square Enix is apparently “undecided” on that end. For those unaware, Dragon Quest XI S: Echoes of an Elusive Age Definitive Edition includes a full page of new content. The most notable is no doubt the ability to switch between art styles. In addition to the standard Dragon Quest XI art style, players can also utilize a 16-bit style ripped straight out of the SNES. There’s also a brand new fully-orchestrated soundtrack, a huge departure from the MIDI-heavy sounds of the original (though that can still be played). In addition, there is plenty of new story content available, including storylines where each party member takes center stage. This will no doubt have an impact on the characterizations of each character, so other platforms losing out on these would be a huge missed opportunity. Another major inclusion is Japanese voice acting for the first time, as it wasn’t included in the PS4 or PC release. In a way, it does make sense to have a “definitive edition” feature content not available in other versions. But with so much being introduced in this version specifically, and so far after the initial release, it would make sense to at least some of these features be brought to other platforms, whether it be a free update or paid DLC. That being said, there is still plenty to love about the PS4 version of Dragon Quest XI. Our review called it “a real adventure that tugs on your heartstrings.” So if the extra content isn’t a huge factor to you, there’s an engrossing RPG epic already waiting for you.